You would like to take a stroll through both art and nature? In that case your wish could not be easier to fulfil than at Musem Ritter. A specially devised footpath takes the visitor on a walk directly from the Museum through the adjoining Schönbuch nature park. The walk begins by the cubic sculpture on the Museum’s parking lot, and takes you after about 30 minutes by foot to Lake Fäulbach. In addition, Museum Ritter is directly located on the “museum cycle route”, which extends from Weil der Stadt to Nürtingen and links up numerous exhibition venues. 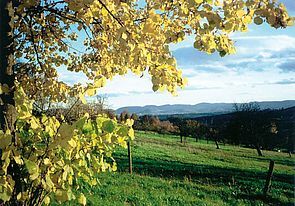 The scupltoura in the District of Böblingen welcomes everyone to a series of special encounters with art and nature. The approximately 30 km section of the museum-to-museum cycle path from Grafenau-Dätzingen to Waldenbuch takes visitors not only through the beautiful countryside of Schönbuch and the Heckengäu, but also past some 80 sculptures created by around 60 artists. The sculptoura is a series of artistic delights for cyclists, which can also be explored in stages on foot. A small circuit around Museum Ritter with numerous sculptures gives a nice foretaste of the route as a whole. 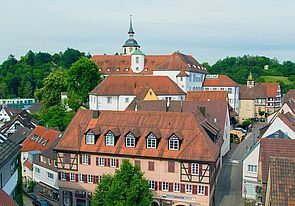 Situated between Stuttgart and Tübingen, Waldenbuch’s old town with its late mediaeval charm nestles around a small hill crested by a castle and a church. Beautiful half-timbered buildings invite the visitor to take a leisurely stroll. Castle Waldenbuch, once a much loved stop off for the Dukes of Württemberg during the hunting season, is now home to the Museum der Alltagskultur, an ethnographic museum with regularly changing exhibitions. Schönbuch Nature Park, which with its scenic shelters and fireplaces, and its watercourses, is a popular place for a day out. The beauty and richness of the park is heightened by its natural features: large stretches of forest, ancient sturdy trees, colourful dales and orchard meadows, marshland, untouched streams, vineyards, magnificent avenues of trees and game preserves are all ready for ramblers, cyclists and even the casual stroller to pay a visit.